Ever suffer from friggatriskaidekaphobia? Me neither, but friggatriskaidekaphobia is a fear of Friday the 13th. Frigga is the name of the Norse goddess for whom "Friday" is named and triskaidekaphobia meaning fear of the number thirteen. Records of the superstition are rarely found before the 20th century, when it became common. So why do people think Friday the 13th is a fateful day? 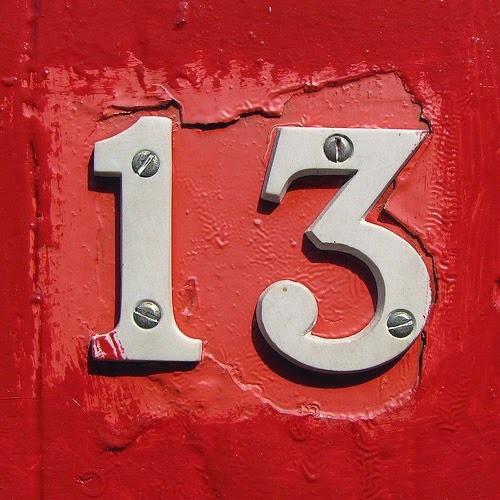 It’s probably the combination of two older superstitions: thirteen is an unlucky number and Friday is an unlucky day. In numerology, the number twelve is considered the number of completeness, the twelve months of the year, twelve hours of the clock, twelve gods of Olympus, twelve Apostles, etc. Whereas the number thirteen was considered irregular, breaking this rule of completeness. Another superstition, thought by some to derive from a Norse myth is that having thirteen people seated at a table will result in the death of one of the diners. So here’s the thing, my birthday is on the 13th, though not on a Friday. I’ve always considered 13 my lucky number because I was born at 13:13 p.m., the 13th hour and the 13th minute of the 13th day. I also have five brothers and sisters who were all born on the 13th day of their birth months. So the 13th seems like a very blessed number to me. 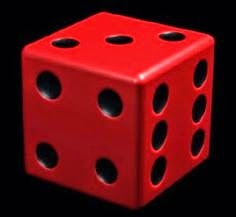 Please leave a comment with your lucky number and are you superstitious about it? And more importantly, do you suffer from friggatriskaidekaphobia?? ?